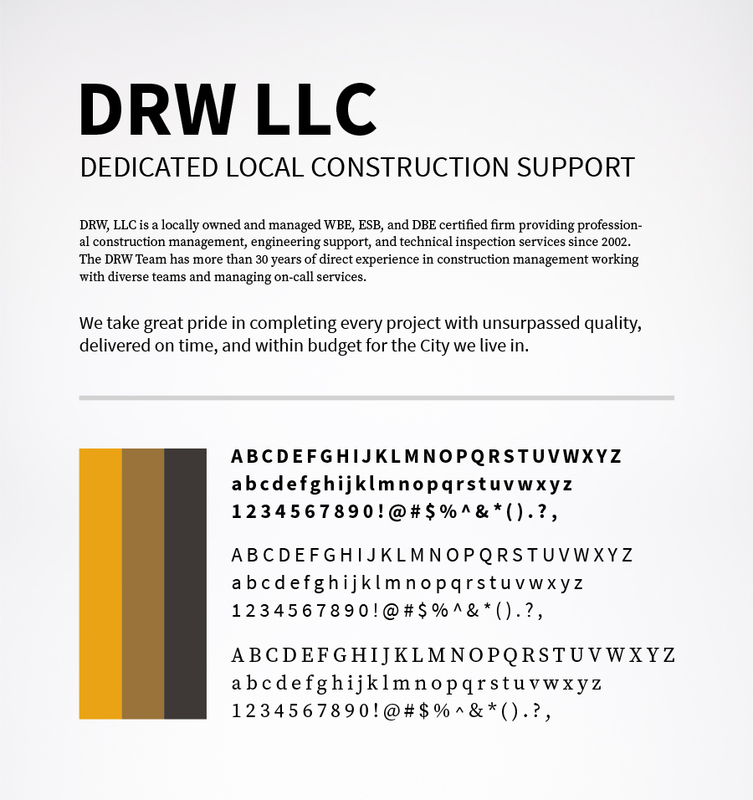 DRW LLC is a Portland based construction management and support company that deals with public sector clients. They offer construction management and inspection services, as well as architectural and engineering support for their clients. With 14 years of experience in supporting and managing local government building projects, they make sure their clients are satisfied with their dedicated, responsive workforce. DRW is a Portland, Oregon owned authority in Construction Management and Support Services for public sector clients. 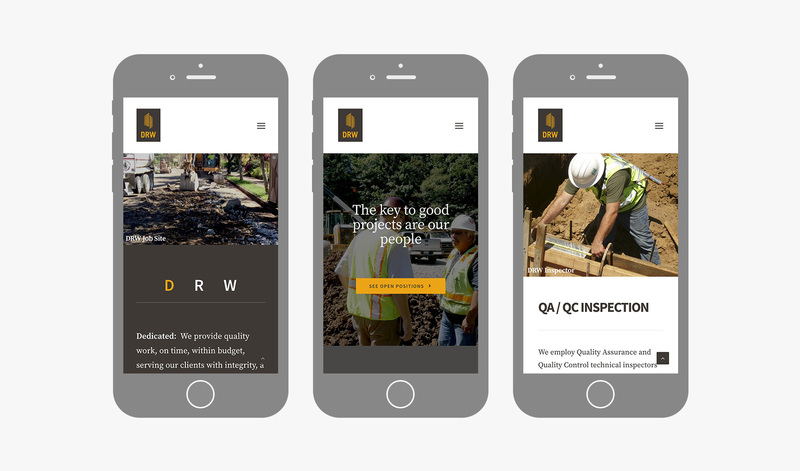 One Plum Design worked with DRW to refresh their brand identity and build a responsive WordPress website their team could easily maintain. The project scope included refreshed logo designs, brand colors and type pairings, print collateral designs, and responsive website design. DRW had two concerns they wanted us to address. They did not have a way to inform people who they were and what types of services and benefits they had to offer. They also knew that without a professional website, they were possibly losing business to competitors who already had a web presence. One Plum Design worked with DRW to refresh their brand identity, simplifying and strengthening the visual impact of their logo. 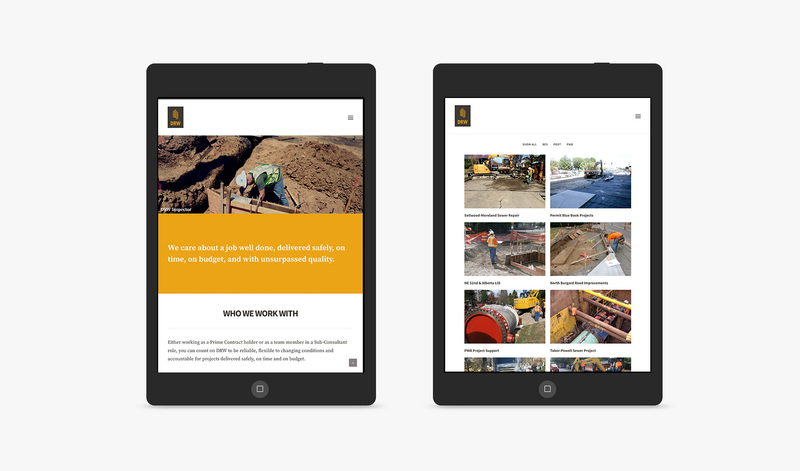 We then built a responsive WordPress website their team could easily maintain. The project scope included refreshed logo designs, brand colors and typography, print collateral designs, and a responsive website design.